On September 12, 2014, the Fifth New Overseas Chinese Innovation Product Exchange and Commendation Meeting was held in Jingxi Hotel. The following leaders attended the commendation meeting: Vice-chairman of CPPCC Haifeng Li; Vice chairman of the 11th National People's Congress standing committee & former Dean of CAS Yongxiang Lu; Secretary of China association for science and technology Chunfa Wang; Chairman of China Overseas Chinese Federation Jun Lin; Vice-chairman of China Overseas Chinese Federation Zhongyuan Dong, Zhuobin Li, Wei Qiao& Xiaoping Kang; Part-time Vice-Chairman of China Overseas Chinese Federation, Academician of CAS, Head of distinguished expert committee of China Overseas Chinese Federation Lijun Wan, and the leaders from the Organization Department of the Central Committee of the CPC, CAS, China association for science and technology, MHRSS, etc. The Vice-Chairman of China Overseas Chinese Zhuobin Li hosted the activity. Total 363 &lsquo;China Overseas Chinese Contribution Awards&rsquo; were selected at the Fifth New Overseas Chinese Innovation Product Exchange and Commendation Meeting, which includes 187 Innovative Talents Awards, 101 Innovative Achievement Awards and 75 Innovation Team Awards. The leaders who attended the meeting issued the medals and Certificates for the representatives of Innovative Talents, Innovative Achievement and Innovation Team. 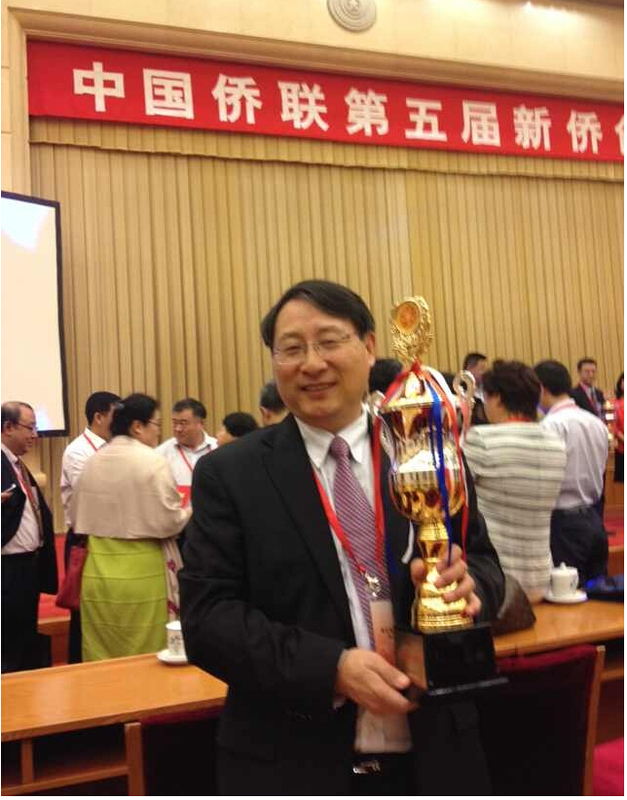 Pivotone Communication Technologies, Inc. achieved the Innovation Team Awards and Chief Executive Gordon Guochun Liang attended the commendation activity and took the trophy.